Namasté sweet soul sisters and brothers. 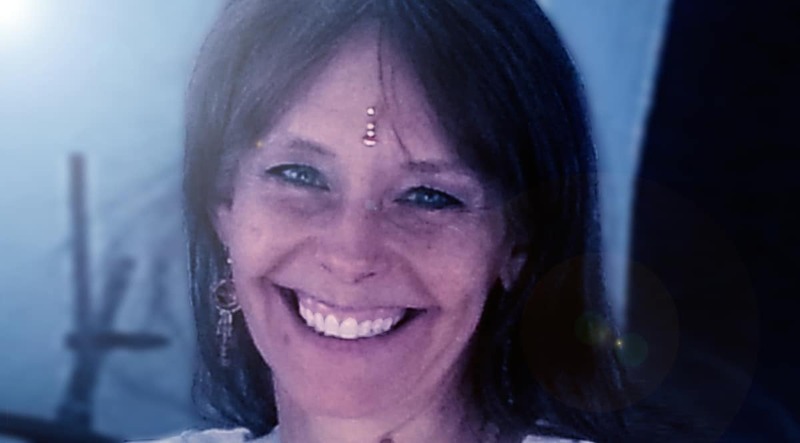 I am deeply honored to share some of my blessings and miracles that have been showered upon me since meeting Sri and Kira as I came upon their website many moons ago. I felt an immediate connection on a soul level that could not be ignored. Being a member of the TOSA family for almost a decade has been truly a miracle to me. I feel I have been on the path of craving knowing truth all my life. Every time my life has been in the process of great change, I found the guidance I was seeking appear in front of me with every step on the path to Self~Ascension. I dived into the all the books; Angelic Messages and attending many of the workshops either in person in Albuquerque, Guatemala or via tele-classes had been a godsend to me. To me being a part of the miracle team all these years I feel a sense of deep constant comfort connection of unfathomable unconditional love of one heart that pervades the distances from where ever we are. The journey through this physical life on this planet has presented and propelled me forward through a plethora of opportunities for spiritual growth whether divorces, abuse, fears, health issues, interactions with other people, who all blessed me with the opportunity of looking deep within myself of what was up for healing at this moment and look for the spiritual mastery that was being gifted to me at each and every corner. It has supported me miraculously in shifting from seeing the world from a victim consciousness point of view to an empowered choice of love filled co-creator consciousness as well as learn why I chose the experiences I have to grow as a soul to lift into a higher state of consciousness for the evolution of myself and therefore all beings on the planet as we are all ONE. I have learned that my personal indicator showing me I am in the process of a new expansion is pain in my physical body and difficulty moving and or extreme fatigue. The pain is a messenger of love and when I listen deeply as Sri and Kira has taught me so beautifully with great love and ask who and what is wants to tell me and I offer the deepest levels of forgiveness, presence and love and dissolve the energy draining cords and limiting belief programs, more miracles of infinite peace, love, joy and wholeness unfold. My learning to release time, the need to know and surrender to the divine timing of all happenings and live in complete trust is awesome. Some of my most profound healings, too many to share here, have taking place in presence of Miracle team members as they have held space of deep presence and pure love. I remember sitting in an Avesa workshop in February of 2009 where two profound things occured to me; Sri invited us to look at; ”what are your greatest fear holding you back from moving forward’ and Kira was talking about when is enough enough and really being strong about us touching into that. I screamed out loud: Now!!!!!!!! She said: “You just claimed it girl.” Yes did I ever! My life as I new it completely dissolved within a few months including a marriage and business partnership with such speed, ease and grace it was beyond words. The level of TRUST I deepened into living “In this moment I trust myself “ and I trusted the universe to support my son and I as I walked fully on the path of awakening with every breath of my being now as a single parent once more. It gifted me to fully open to invite all that is not of my true being to be brought to light and look at it strait into the eyes and make choices without judgement and fear. I am blessed through this Miralce Team path to walk fully deeper into my souls purpose of serving others in Awaking them from fear into love as I am. A most joyous gift of living in a different paradigm that many it is. I have embraced with greatest gratitude through Sri and Kira’s modeling to walk in my authenticity regardless of the “norm”. Through this family of light I have also embraced the remembrance of light language transmission and received my spiritual name and understanding who I am as a soul much more deeply. Choosing this path and making my knowing truth, living peace and presence my priority above all also has been a blessing for my son as he has walked it with me by osmosis. I am so grateful for witnessing him being who he is and following his heart and soul purpose. The greatest gift you can give your children is waking up to your truth and authenticity and hold presence for them to do the same. A few months ago I received the magnificent miracle gift of once again being with my beloved Twinflame soul in partnership. Although we have known each other 3 years, now the time came for it to move to the next level has arrived. It is the most magical, empowering, intense gift of love to be with in soul union with the Self within the Self and such a miracle for us both to walk this path individually and now together. It could only unfold if we had done and are willing to continue to grow and walk this self-Ascension path in Union. I trust my short sharing will be of blessing for you to continue your path of Self-Ascension as part of the TOSA Miracle team. May you follow your heart and trust it’s guidance and surrender to the Divine timing on the journey of your path. It changed my life. I am living my dream and I am in deepest gratitude.